If you love chicken pot pie, you know that there is absolutely nothing as yummy or comforting as a fresh, homemade chicken pot pie. If you have only ever had the commercial versions, then you really have been missing a treat. I have been making this suppertime pie as a special occasion treat for twenty years and I can assure you that the recipe is neither easy nor quick. As a matter of fact, I am ordinarily pastry challenged but the final result of this recipe convinces me to persevere. If you are looking for a recipe that results in the most amazing chicken pot pie you've ever eaten, then you should definitely try this one. If pastry is 'easy as pie' for you, then this recipe will not be a challenge. The best-ever homemade chicken pot pie recipe is from one of my all-time favorite cookbooks from a series of books produced by Time-Life in their American Country series. It is called Country Cooking: Recipes for Traditional Country Fare. It features many of my favorite comfort food recipes and although long since out of production, it is still readily available through Amazon at a very affordable price. You can order a copy for your collection by clicking right here. Time-Life called this recipe "chicken pot pie in a cheese crust." Now, won't you settle in to read this page and join me for a slice of chicken pot pie? Chicken Pot Pie In A Cheese Crust Recipe - Serves 6 to 8 people. Pastry:In a large bowl combine the flour, Parmesan, parsley, salt and pepper. Cut in the butter until it looks like coarse meal; perhaps smaller than peas. Add the 3 tablespoons of water and work it in, adding up to another tablespoon of water until you form a dough that you can gather in a ball. Divide it in half, press it into a disc shape, wrap in plastic and refrigerate for 30 minutes. Filling:In a large pot, bring the chicken broth to a boil and add the onions, yam, sage and pepper. Cook until the yam is just starting to get tender, about 5 minutes, then add the carrots, broccoli and celery and cook for another 5 minutes.In a small bowl, with your fingers, blend the flour with the butter. Increase the heat under the pot to high and pinch off pieces of the flour butter mix, dropping them into the pan and stirring to mix them in. 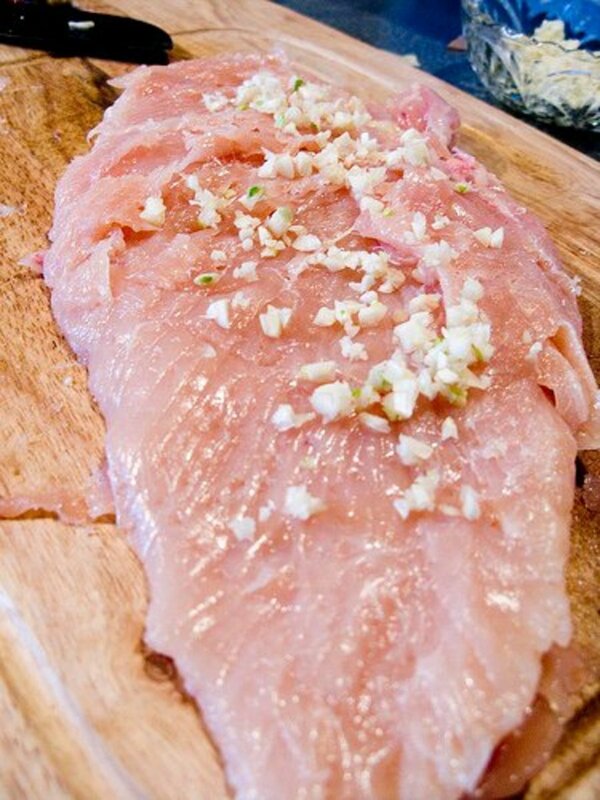 Cook until the sauce has thickened a little bit, about 3 minutes and then remove from the heat and stir in the chicken. Roll half of the dough into a 12-inch circle which will fit into your 9-inch pie pan. Add the filling and then roll the other half of the dough into a 9-inch circle to place on top. Trim the overhang to about 1/2 an inch all the way around and then fold this extra pastry over the top crust, crimping to seal. Cut steam vents or use a pie bird to vent the pie. Brush the pie with the beaten egg. Bake the pie for 15 minutes and then lower the temperature to 325 degrees and bake a further 10 to 15 minutes until it is golden. I prefer my Pyrex glass 9 1/2 inch pie plate with handles, which is like the one shown here. It is from the 'Grip-Rite' series. The handles make taking pies out of the oven much easier. 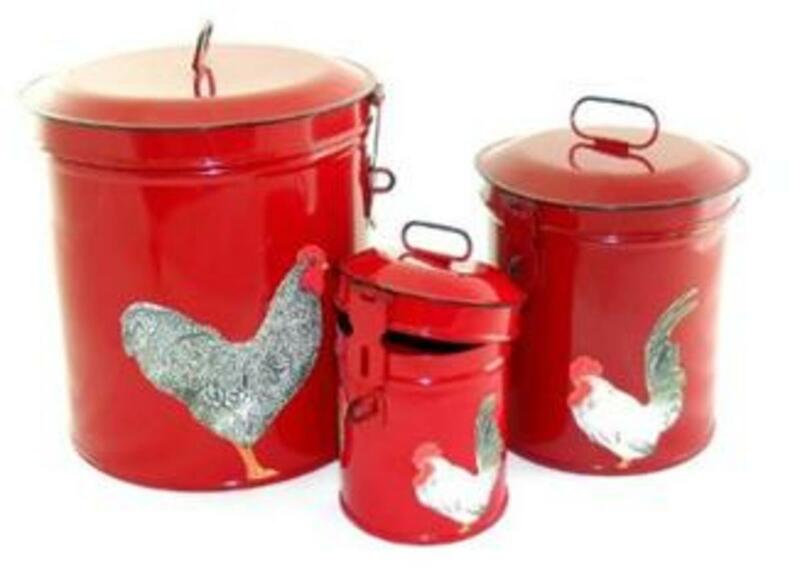 Pyrex has designed it with special attention to consumer comfort, convenience and ease of use. Amazon customer reviews of this pyrex pie dish include comments like S.C. Sander’s that she really likes the grips on this pie dish, Cristiano Fontes’ that this dish lives up to the reputation of Pyrex and K. Knorr’s that these dishes are not fancy but that that is rather irrelevant when you serve a homemade pie in one! Bake a roast chicken one day and save 3 cups of cooked chicken for this recipe. With the carcass of the roast chicken, make chicken broth the same night as you roasted it. Both the chicken and the broth can be frozen so that you can make the pie at a future date. Use canned broth or substitute if you are trying to speed up the process but beware of sodium. The entire pie can be made ahead and cooked from frozen when required. Food Network invites you to try this Chicken Pot Pie recipe from Ina Garten. Food Network invites you to try this Chicken Mug Pie recipe from Rachael Ray. From the show called 30 Minute Meals, episode: A Taste of Home. Bobby Flay challenges the Casserole Queens of Austin, Texas, to a Chicken Pot Pie throwdown. The Food Network chef won on the originally aired show in March 2009, but as Crystal Cook and Sandy Pollock says, "Everyone agreed we should have won." Martha Stewart shares a lighter chicken pot pie recipe. Martha Stewart shares the perfect chicken pot pie recipe. I do not have a pie bird yet but I would like to own one. They are so cute and they are practical, allowing your pie to vent. There are some amazing new, used and vintage pie birds out there. If you are interested in pie birds, you might enjoy the great selection at A Pie Bird is A Baker's Tool. This pie lifter features a brushed stainless-steel handle, flexible rubber fins for comfort, serrated edges for easy of cutting, a strong and flexible head. Dishwasher safe. Amazon customer M. Nicholson writes that this Oxo pie server is sharp and strong and she likes the fact that it is serrated on both sides. I use a simple wooden rolling pin with a cylinder which turns. This one is made of Danish hardwood and cleans up with warm soap and water. 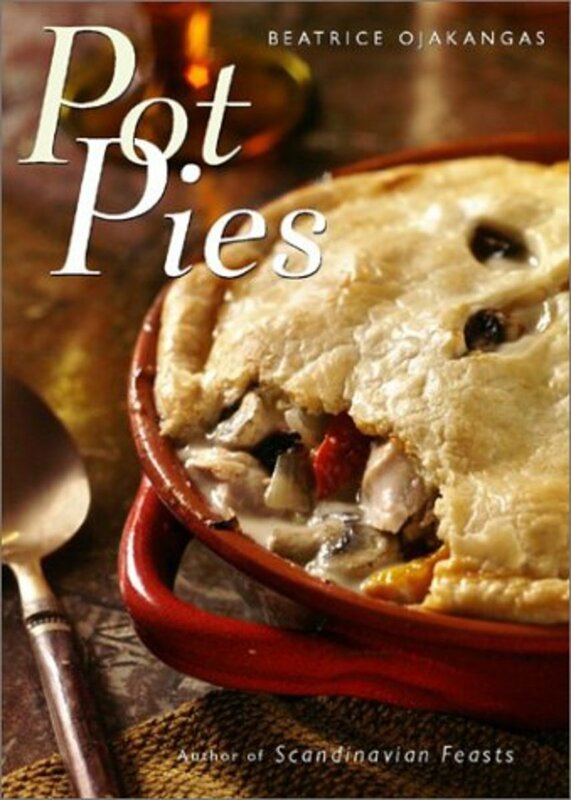 Doesn't this book, Pot Pies, look delicious? With more than 40 recipes for pot pies, you know there is going to be one or two there to please everyone. Included are recipes for Finnish Country Vegetable Pie, Herbed Leek and Chevre Tart, Seafood Gumbo Pie and more. Have you ever had a homemade chicken pot pie? I am simply not interested in trying chicken pot pie. Unfortunately, I cannot eat some of the ingredients found in chicken pot pie. No, I haven't had the opportunity to eat a homemade chicken pot pie but I'd love to have some of yours, Brenda! I have had homemade chicken pot pie but I did not care for it. Hey, if someone would cook one for me, I would be thrilled to have it! You bet! I love homemade chicken pot pies. Martha Stewart and I share a unique journey to a yummy lemon cupcake. A huge hit in our household, you will love these sloppy joes. These creamy scalloped potatoes are definitely comfort food! Delicious and EASY, is this baked ham recipe! The best carrot cake you will ever eat. More comfort food, this one an amazing corn chowder. Are you ready for a piece of chicken pot pie? @shellys-space: Me, too. I need to have one soon! @PromptWriter: Me, too. I'm hungry for chicken pot pie right now. I don't make it very often but I'll have to consider making one soon. @Jogalog: I agree. I could have a piece right now. Delicious, will try it. Thanks for your sharing. I love chicken pie - It's real comfort food! I would love a piece. I miss my grandmother's pot pie. Oh, I would love me some chicken pot pie right now. One of my favorites! Sounds yummy! I have cooked chicken and ham pie before but never chicken pot pie. It sounds tasty and I must try it. So good! !Thank you got a great twist on a classic recipe!! Never met a chicken pot pie I didn't love. Chicken pot pie is a favorite of mine. The recipe looks looks great. Thanks for sharing. Chicken Pot Pie is indeed a comfort food. It is just delicious! I don't make many pastry dishes as they always go wrong but now you've got me in the mood for trying again. Thanks and great lens. 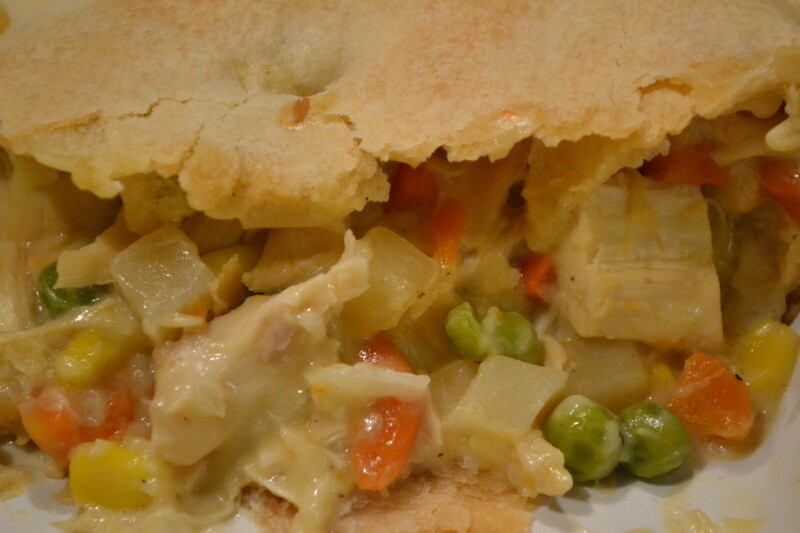 I love this Homemade Chicken Pot Pie Recipe, it is one of those great comfort foods. I love chicken pot pie. One of my favorite food groups. :) Great lens and I'm bookmarking it. Yumm! I love chicken pot pie. Can't wait to try your recipe! This is a very interesting chicken pot pie recipe. I will have to give it a try to taste test. I wish I could make my husband love chicken pot pie as much as I do so I could make it for dinner more often! One of my favorites. Sounds Yummy! Yummy!! It's been ages since I made the homemade kind. The microwave ones are like eating a beef jerky when you're in the mood for steak. Great recipe! Sounds yummy in every way. Thanks for sharing. Need to order one of your pan reccomondations. Thanks! Always ready and craving to have one...love it! Wonderful recipe (and lens) - blessed! I love Chicken Pot pie! 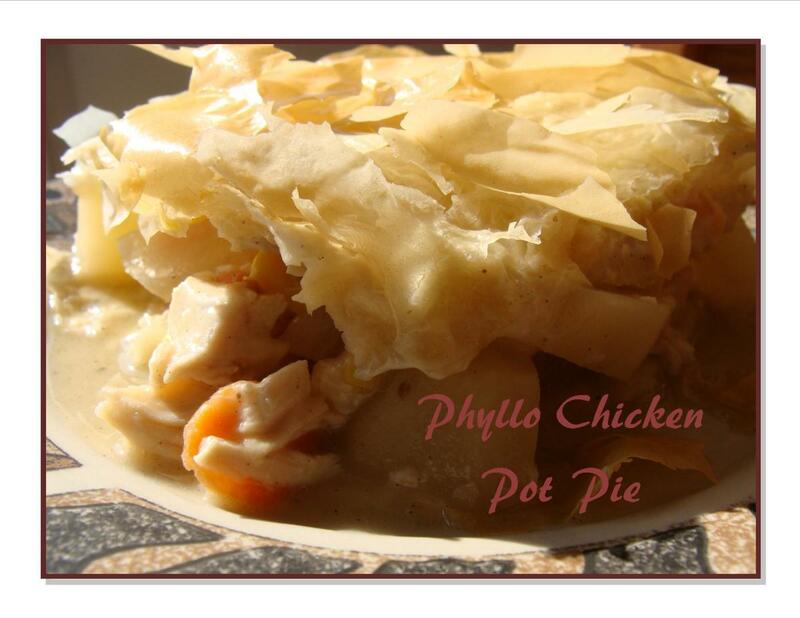 Your chicken pot pie recipe sounds delicious! Returning to sprinkle a little fresh angel dust over this chicken pot pie delight...everyone is delighted except the chicken! I'm hungry for chicken pot pie now! The recipe sounds great! Guess what's for dinner tonight! i love chicken pie, and the cheesy pastry gives this recipe the edge I think. I love chicken and turkey pot pie. I'm adding a link to your excellent site from my lens about roux. Thanks! Thank you for this recipe, it looks tasty! With the fall weather here, I like to eat chicken pot pie, nice lens. Love to make chicken pot pie. Always double up the recipe for the filling so I can put some in the freezer. The dough doesn't take long, the filling is a bit more labor intensive. Homemade chicken pot pie is absolutely delicious "comfort food", and your recipe looks scrumptious! Thanks for sharing. Blessed! Yes, I am totally ready for a piece of chicken pot pie. I love it! Can't wait to try this. Great lens! I just baked my very first one today with no recipe, just going on what I thought might be good... and it turned out pretty well, but I think I'll look at a recipe first next time! I love homemade chicken pot pie, but I hardly ever get to eat it. What a neat idea to put cheese in the crust! I will bookmark this to try later! Thank you! @OhMe: Thanks for letting us know about KFC's chicken pot pie. I've seen them advertised and wondered if they were good. Sometimes easy is good. My hubby loves Chicken Pot Pie and we recently discovered KFC's Chicken Pot Pie which we thought were very good. I have made it before but not this recipe so will have to try this one day. Sounds delicious. Thanks for this! Great lens. Hey! I just made a chicken pot pie lens! Mine was a lower-fat version for dad. It also was the 5 module challenge, which was hard. We will definitely have a bake-off sometime. BTW - I challenged you to a bake-off, but the button didn't work - so just know you're on. I had to bless this lens because it was so thorough and because this is the first time I ever saw pie birds. I would have got one for my mother for her blackberry pies - they always ran over. You have made me hungry! I have to try this recipe now...thanks for sharing! Chicken Pot Pie is so good, I tried making a homemade one earlier on this year and it turned out great... thanks for your recipe (I think the crust would be fabulous). This Homemade Chicken Pot Pie looks absolutely scrumptious. I've been looking for a good homemade chicken pot pie recipe. Thank you so much for sharing yours.I also appreciate your recent visit, Squid Like an' comment on 'The Purple Bench' page. Your support means so much to me. Thank you. I love this lens, think I'll go put together a pot pie right now! I'd love some of this particular chicken pot pie! I can't wait to try your chicken pot pie! Easter Blessings to you. Yes, chicken pot pies are a favorite. Thank you for the recipe. When we come by again we'll pick it up. Oh my oh my - love chicken pot pie! I love it. And I am going to try this recipe. I may just put in vegetables... chicken isn't my favorite, but it will be just as lovely. Definitely! I love all types of crusts as well. It sounds delish...I can't wait to try it! I love the chicken-pot-pie t-shirt. This is one of my all-time favorite comfort foods. Great lens! YUMMY.. we are going to have to try this! I have never thought of putting parmesan cheese in the crust! YUM! Blessed! Homemade chicken pot pie is the quickest way to a man's heart! Love your recipe! Cook On! Have a fantastic day! According to Punxsutawney Phil, we'll have six more weeks to enjoy comfort food such as chicken pot pie. He sends his blessings! chicken pot pie isa favorite of mine and now another recipe. Oh, man - cheese cruit - sounds wonderful! We just made this from scratch on Sunday, had company over and it was awesome to eat! Hi I would love a piece,thanks for all the info.Great lens.I like this recipe. Sounds delicious. Chicken pot pie is one of my favorite dishes. I really like that you have instructions to make broth from the carcass. This is a process so many people ignore, but makes your food taste so much better. Oh my goodness! This sounds so yummy and I'm so hungry right now! (No wonder I'm looking at food lenses! lol) I am so going to make this as soon as I get to the store! I rarely do this, but you reminded me of a binder I made on Zazzle (it has a matching apron, too)...I'm putting in the link, but you can remove it if you want. I think you might find it funny though. :) http://www.zazzle.com/recipes_for_chicken_binder-1... this lens! Thanks for the visit to my site. Yes I love chicken pot pie my daughter makes a great one. You know, I've been making pies for years, but never made a chicken pot pie. I think I'll use some of my frozen turkey stock (from the Thanksgiving turkey) and make one up very soon. I love the idea of adding grated Parmesan to the crust. That has to make it extra delicious! Yummy and delicious recipe, nicely done - great for a get-together and family. Love chicken pot pie ... also beef. I don't think I've ever had any homemade though. It sounds really good!! Great lens! Looks like a winner of a recipe, I have added it to my file. Great lens. I love how you put all the interesting accompaniments to each topic on your lenses. Congratulations on the purple star! It is definitely chicken pot pie time of the year! I LOVE chicken pot pie, but being single making the dish from scratch doesn't make sense. :( I love the idea of adding Parmesan to the crust. Great Lens. Please visit mine at squidoo.com/easy-recipes-and-cooking-tips for an interesting article on Chicken Pot Pie. I just made a turkey pot pie, was yummy!